Although Carrickfergus does not have a Royal Black District Chapter three Royal Black Preceptories meet in our geographical area and use the same halls as our Orange Lodges. RBP 17 is part of Belfast District Chapter No 2 which in turn is part of the City of Belfast Grand Black Chapter. The Preceptory meets in Woodburn Orange Hall, Carrickfergus. 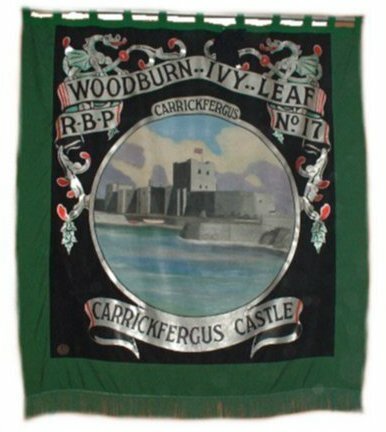 Woodburn Ivy Leaf members mainly belong to Woodburn Ebenezer RAPC 787 but again members come from nearly all Royal Arch Purple Chapters in Carrickfergus. Several Belfast Orangemen would also be members of this Preceptory. The present Worshipful District Master of Belfast District Chapter No 2 is a member of RBP 17 as is the current Mayor of Carrickfergus. 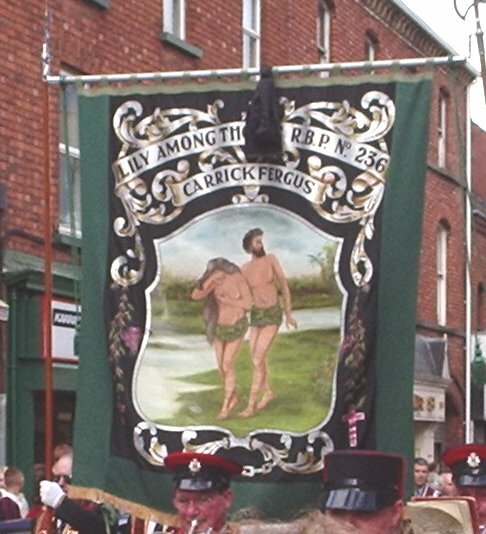 RBP 1125 like RBP 236 is part of Larne District Royal Black Chapter. 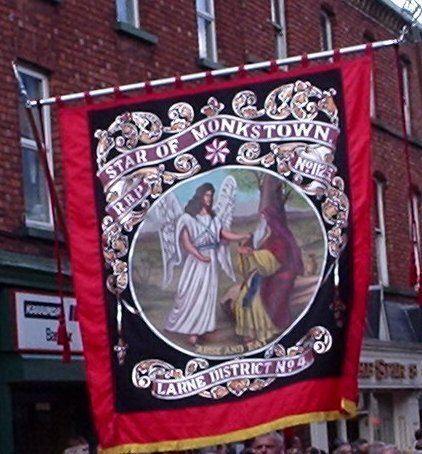 The Preceptory meets in Monkstown Orange Hall and mainly draws its members from the Newtownabbey area.